Motivation. It’s awesome when you have it but one thing I know after 40 years of training is, it won’t always be there. It doesn’t take 40-years of training to learn this fact and those interested in building muscle, losing fat and getting fit who use social media for motivation can attest to this. There are a lot of fit people on social media who post motivational quotes and sayings, but most of the time I just let out a big yawn because I just don’t feel any level of sincerity from them. Maybe it’s because wanting followers or more business is really their main motivation. Insincere rah-rah BS is a real turn off to me and I hate the vibe I get when I spot it. But sometimes certain people and quotes motivate me. They motivate me because I believe in the person writing them. They don’t have to be super fit (although they may be), or maybe they’re just trying to be. But they don’t quit and they recognize their own weaknesses and the weaknesses we all share. And that’s what makes them strong in my eyes. I admire the people who fight back, wrestle and win over the rough days, the days you push yourself to go to the gym, the days you push through every set and rep and step. Some days you lose and those days haunt you all day, and if those days turn into weeks and months, you dig a deep trench for yourself. But you find your way out because you must. You push because you know it’s the right thing to do and you keep pushing because you know the inevitable is a trap. Recently I read two Instagram posts that motivated me to write this blog post. I will share them with you. This is from my friend Dane. I have only chatted with Dane through social media but I consider him almost like a brother. He wrote this after being ill and attempting to regain 100 percent of his fitness capacity. And this is from my social media friend, Lou (Louise). Lou has probably had the single biggest impact on my experience of social media. She’s even pulled me back to it when I’ve stayed away from it. “Sometimes you have to hit rock bottom to see sense and see changes need to be made. Lately, I’ve been more self-loathing than self-loving. I’ve been so run down from the flu virus then ear infection. My eating has been shocking. I’ve just been in a major funk. I’ve seen myself fall back into old ways. Old depressive ways. Enough is enough. I have so much to do. So this is a new, new start. A blank canvas. Time to build a better, stronger, fitter body alongside my mind and soul. These posts may help you, or not. But one thing I do know is that we are all in this together. We go the journey alone but the support is out there if you need it. Find the right people, engage with them and do your part to encourage others. Whether it’s bodybuilding, powerlifting, CrossFit, running or just good health and well being, we are all in this together. 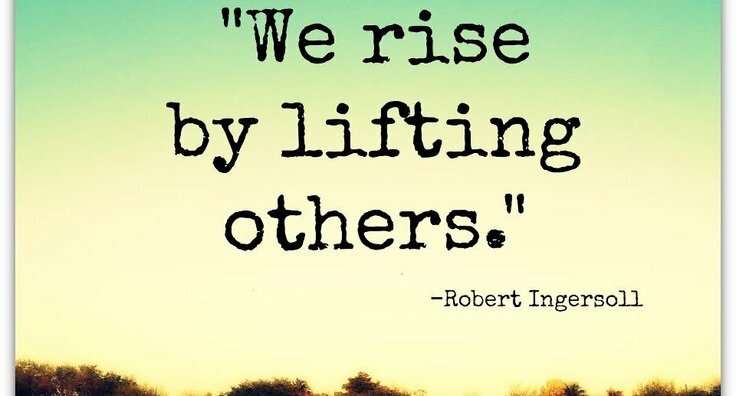 There is nothing more gratifying than lifting others. No Comments to "Your Time to Shine"